Seminar "Research on Water and Agriculture at Davis University"
The IM2E PhD Students' Day will be held on March 22, 2019. This event is in a format totally different from previous years. See the program below. This event is open to PhD students and post-doctoral students from IM2E units. It will take place on the site of la Maison des Sciences de l’Eau. We invite you to register as soon as possible and in any case by March 15 to allow us to organize it as best as possible. 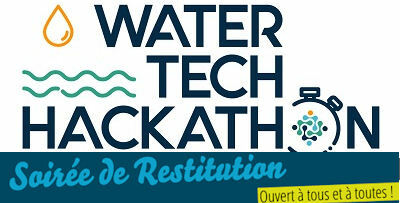 It is on the theme «Water and Leisure» that the KIM WATERS of the MUSE project organized its first WATER TECH HACKATHON December 14th and 15th at Espace French Tech in Montpellier. Attention ! Registration required ! AD'OCC and the Aqua-Valley competitiveness cluster inform you of calls for research and development projects issued by European and national funding programs. Here you will find the information you need to identify projects and position yourself. 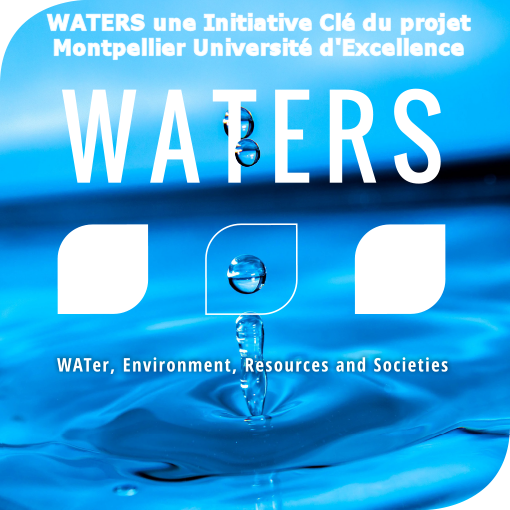 For their fourth edition, the Doctoriales in Social Sciences of Water will be held at ENS Lyon on 5-6 September 2019. This international event will bring together PhD students and young researchers who have recently defended a thesis in social sciences: economics, law, sociology, psychology, anthropology, political sciences, management sciences, geography, history, history of the art, archeology, philosophy. 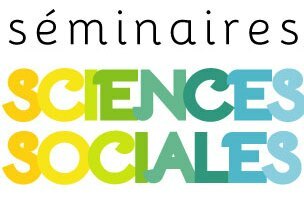 The next IM2E Social Science Seminar will be held on February 7, 2019 from 10:30 am to 12:00 at the Maison des Sciences Humaines Sud, Saint Charles Site ( Room 006 ). We are pleased to welcome Prof. Carlos Mario Gómez. The title of the intervention is forthcoming. This intervention will focus on issues around the water economy applied to the agricultural sector. Session 1 of the MOOC ! "Sustainable Development Goals - Together, let's meet the challenge!!" organized by the UVED, will start on 3 September 2018 on the FUN platform (free training). The MOOC "ODD" mobilizes a team of 33 national and international experts, from the North as from the South, from both academic and non-academic worlds. It is scientifically drived by Maria Snoussi, a professor at Mohammed V University in Rabat, Morocco, and Jean-Paul Moatti, IRD President and CEO, and expert of the group of independent scientists in charge of writing, for 2019, report on global progress in the implementation of the 17 SDGs. The House of Human Sciences South (MSH Sud) launches its second call for projects to support interdisciplinary research. The call for projects concerns all disciplines, humanities and social sciences (SHS) and other sciences. It is intended to bring out exploratory and cross-cutting research with strong innovative and structuring potential. The deadline for submitting projects for this call is October 20, 2018. The 43rd Scientific Days, organized by the GFHN in collaboration with CREAF will be held in Barcelona from 19 to 21 November 2018 on the theme. Degradation and restoration of natural, agricultural and urban soils in arid and semi-arid climates: measurement, characterization and modeling of water processes. The G2 colloquium will take place this year in Montpellier from 12 to 14 November. G2 2018 will focus on the theme "New Instrumentation and Combination of Geophysical Observations"
Following the workshop in Montpellier last October about climate change impacts in the Mediterranean region, a special issue in the journal "Regional Environmental Changes" (Springer, 2016 Impact factor = 2.9) is now open to contributions. a booklet presenting regional arrangements to support research and higher education is now available. 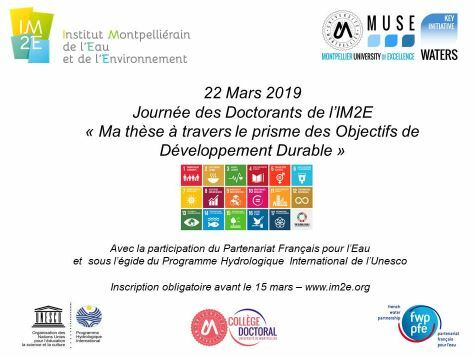 Launched last July by the BRGM and its scientific partners, the State, the Rhône Méditerranée Corse Water Agency, the Occitanie Region, the Thau Basin Joint Union and the Balaruc-les-Bains commune, the program Dem'eaux Thau (* 1), starts. 1st equipment, 1st drilling and 1st acquisitions of geophysical data will allow to better know the functioning of an essential water resource for the territory: the karst of the Thau basin belonging to the West fold of Montpellier. In the face of increased pressures on water resources, global changes and the specificities of the Mediterranean region, what do we know today about the behavior of Mediterranean watersheds? Through an analysis of 140 studies, French and Lebanese researchers, including 3 from Irstea, decipher recent trends and question the modeling approaches used to manage water resources in order to optimize them. An innovative work, distinguished by the International Association of Hydrological Sciences (AISH) Tison Prize 2017. IAHS international jury, a panel of about fifteen people, was particularly receptive to the quality of the global offer proposed by IM2E (quality of the research teams, multidisciplinarity, recognized training, interactions with the global south, proximity between laboratories and businesses, etc.). It was this set of assets that made the difference with the competing Canadian case. A collective book entitled "Integrated groundwater management" just published by Springer, co-edited with Australian colleagues (ANU), American (USGS) and French (BRGM and UMR G-EAU), after almost 5 years of gestation. This book of 29 chapters (including several by IM2E members) is open access. Interview with Eric SERVAT for the Express website. On the occasion of MedCop21 Forum, Eric Servat, hydrologist and director of the Observatory of Mediterranean environmental research, draws the conclusion and prospects of the Mediterranean Basin to climate warming. 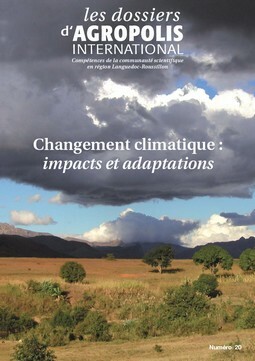 This dossier presents the research actors based in the Languedoc-Roussillon region, mobilized to address issues related to the study of impacts and adaptations to climate change. Les Echos de l'Irstea N°9. Patrice Garin and Éric Servat : the new Water and Environment Institut of Montpellier. What are the risks posed by water, this vital resource? Interviews E. SERVAT, J. GARDON, P. GARIN and A. BRUN.